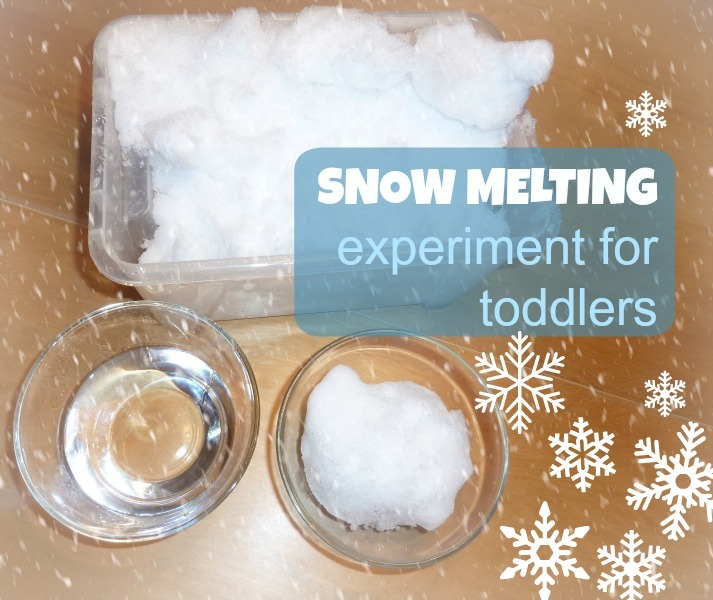 Just if you haven't thought of it before, an idea for busy parents and an easy and simple winter activity for kids: a snow-melting experiment for toddlers. There is not much to explain: all you need to do is grab a bin, head out and return into the house with a full load of snow in the bin. The kids will have a great time! If you want to spare yourself from cleaning afterwards, you might want to use an old bed sheet under the bin to catch drops of melted snow. add a cup of water and let the kids explore mixing snow and water. We did that in separate cups. A scoop of snow in one cup remained untouched though: we placed a cup on the kitchen table and left it there, just to return there (often!) and check (and double-check) what happens to the snow. You might want to experiment with several cups of snow (but the cups need to be of the same size and material), placing them to various temperature areas in your home: place one into the fridge, the other one on (or close to) a radiator, one on the kitchen table, etc. Then you can make a round each hour with your toddler, checking each of them. Afterwards, you can discuss which one and why melted faster, underlying the relation between the level of warmth and the melting time...you get the picture. It might be very interesting for your kids. Have you ever brought snow indoors? How was it accepted? Were your kids happy, engaged? Join the conversation, tell me what activities you usually do with snow sensory bins. I'm gathering new ideas! This is a really fun science and sensory idea!